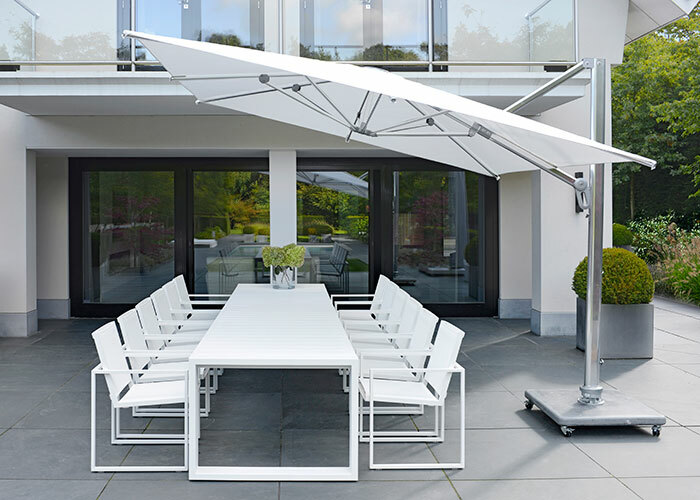 The Madison is a cantilever parasol with an anodised aluminium frame and a Spuncrylic canvas. Spuncrylic is solution dyed, UV resistant, and offers a high level of colourfastness. The Madison parasol has a twist mechanism for opening and closing the parasol. The Madison can be tilted, or rotated 360°. The parasol section and the horizontal pole lock onto the vertical pole. 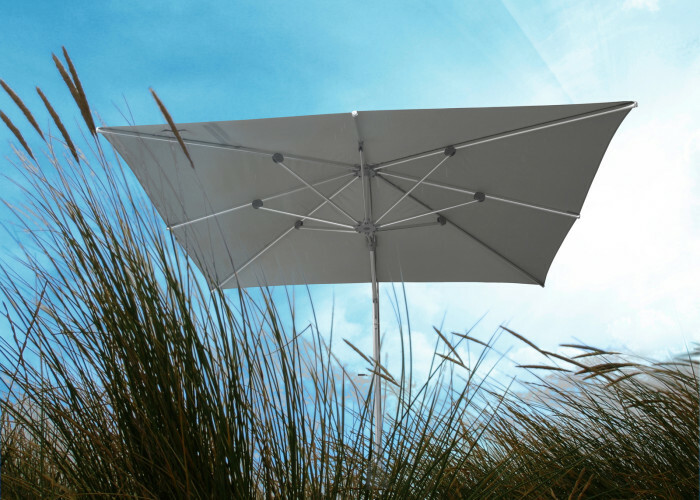 This parasol is available in size 300×300 cm with a canvas in the colours white, taupe, light grey, or dark grey. 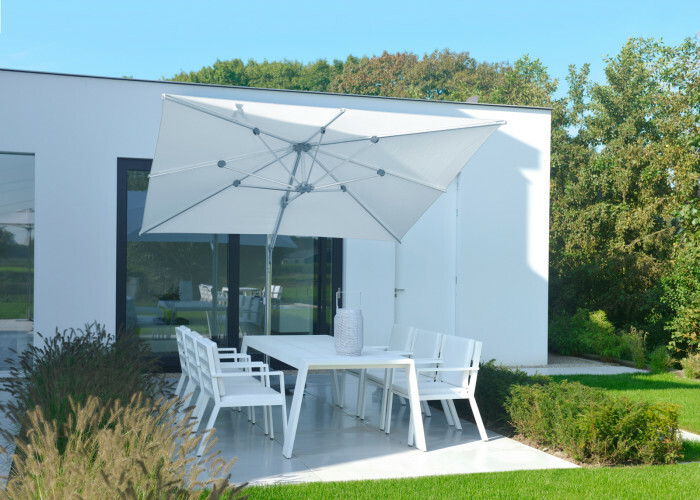 The Madison parasol is supplied with a cross leg base and can be combined with a protective cover, 95 kilo concrete base on castors, or a concrete base from the Borek collection.